Contact Alliance Pressure Washing for commercial power washing services in Dallas, Texas. Alliance Washing is the leading pressure washing and striping company in Fort Worth, TX. We service the entire Dallas Fort Worth area with quality pressure washing and striping. All our pressure washing equipment is commercial grade equipment so no job will be too big or too small. The power washers can heat the water up to 250 degrees to get the tough stains off the surface being cleaned. Our clients’ satisfaction is our highest priority, and we go above and beyond to serve the needs of everyone, whether they’re small residential customers or large commercial businesses. We are proud to serve the entire Dallas Fort Worth metroplex with the highest quality striping and power washing. 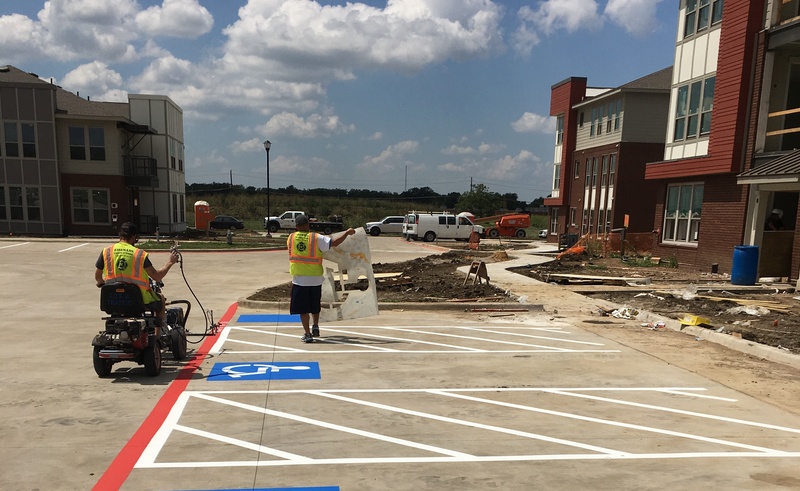 If you are in the Dallas Fort Worth metroplex and your parking lot needs a facelift, contact Alliance washing. Over time the walls of a building and parking lots accumulate dust, dirt and stains. Alliance washing provides a pressure washing service that can be tailored for commercial buildings and properties weather it’s cleaning the exterior of your building or cleaning the entrance to you store to power washing the parking lot or parking garage. Pressure washing can be arranged with your management team to do a monthly, quarterly or semi-annual maintenance agreement to maintain a beautiful look of your commercial property. Call us today for a free quote in the Dallas area! Alliance Washing keeps up with all the environmental laws. We offer water recovery/filtering. We use 100% eco-friendly detergents and cleaners. We pride ourselves in doing are part in taking care of the community and keeping the Dallas Fort Worth area clean and safe. We know how to provide premium pressure washing to every commercial property in Dallas, Fort Worth, TX. 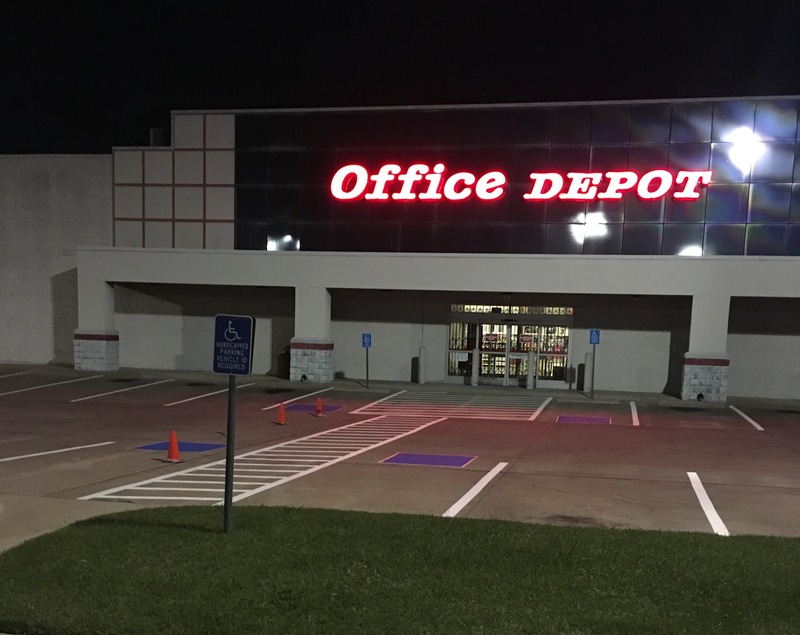 Whether you’re a large retail company, hospital, or a smaller shop that needs customized service, we offer the best rates for the greatest quality pressure washing and striping services. Make sure your commercial property is maintained properly by scheduling recurring pressure washing and striping services. Parking lots and parking garages are major traffic areas for vehicles and pedestrians, which means they experience extreme wear and tear that needs proper washing maintenance. 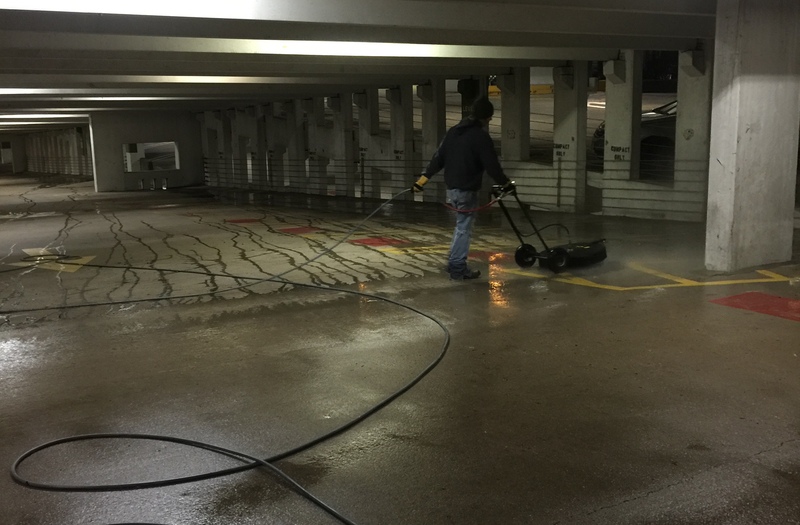 Located just north of downtown Fort Worth, we offer regular pressure washing striping services to properly protect your parking lots and garages in the Dallas, Fort Worth, TX area. Find out about our great pricing plans when you schedule regular maintenance for your property. Providing clear parking spots and a clean place for your church or community center really helps lift the spirits of those that visit your organization. Alliance Pressure Washing & Striping can ensure that your parking lot is properly cared for an maintained with the utmost care. We can also work around your schedule to be on site when you’re best available for our pressure washing services. Contact us for a free estimate for your local church or community center. We’re proud to show off our pressure washing and striping work that we’ve provided to our Dallas / Fort Worth clients. At Alliance Pressure Washing & Striping, our goal is to always set the standard for service and integrity in our industry. We offer great quality service at affordable prices.